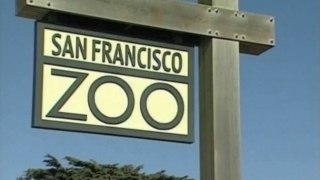 Children ages 14 and under can visit the San Francisco Zoo for free until the end of the month as part of a promotion called "Happy Zoo Year," zoo officials said Monday. Tanya Peterson, CEO and executive director of the San Francisco Zoological Society, said, "For many children, meeting a giraffe, bear or lion is the highlight of their year." Peterson said because of political developments like the federal government shutdown that took place over the weekend but ended Monday, "families have fewer choices to experience wildlife. That's why I'm making the zoo free for kids age 14 and younger until the 31st," Peterson said. The zoological society manages the zoo, which was established in 1929 and is home to more than 2,000 exotic, endangered and rescued animals representing more than 250 species.